LCDTVBUYINGGUIDE.COM Editors have written detailed features reviews and first impressions (prior to in-house calibration) reviews based on close up private viewing and inspection of many new Sharp LED-LCD TV 2012 models. “We are surprised by the consistent large sizes from Sharp as well as the new portable televisions they may be introducing later this year. The biggest surprise from Sharp though is their commitment to the new 4K TV technology which they plan to ship later this year.” LCD TV Buying Guide lists all Sharp LED TV 2012 models on its Sharp Buying Guide page for easy review. According to the company there are a total of 11 new 2012 models of LED TVs and one LCD TV model. Boost Bass and Mood This Winter: Waterproof Earphones for Blues-Busting Winter Sports - Earphone Solutions, waterproof earphones retailer, reports on data citing winter sports as treatment for seasonal depression, with waterproof earphones providing musical motivation. Skis? Check. Gloves? Yep. Hat? Of course. Waterproof earphones? 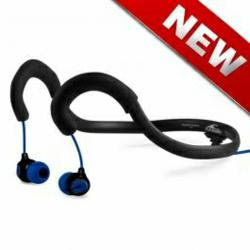 Earphone Solutions, waterproof earphones retailer, certainly hopes so. Mood-lifting winter sports, including skiing and snowboarding, can kick up snow and ice, leaving regular earphones defenseless against the weather conditions. The earphones experts from Earphone Solutions are here to shed the sunlight on earphones that can withstand the snowy conditions so winter sports enthusiasts can continue beating those wintertime blues. Flavio T., Owner, Earphone Solutions, explains how watertight earphones aid in winter sports activities designed to beat seasonal depression. “It’s no mystery why athletes and exercise enthusiasts listen to music – that perfect playlist can keep you going through the coldest of winter conditions and the toughest of exercise regimes. Seasonal depression is a real issue, and listening to music the right way – with waterproof earphones – is a great way to build up the motivation to head outside and combat depression,” says Flavio.